4 Why Do You Get Pinched on St. Patrick's Day? Named for the saint who supposedly expelled snakes from Ireland, St. Patrick's Day is celebrated worldwide as a day to indulge in Irish culture, food and drink. Hosting a St. Patrick's Day party may be as fun and rewarding as finding a pot of gold. Decide if you will host your event at home, rent a space or go to a pub. Putting together a thorough guest list helps you determine how many people to expect, which affects how large a venue you need. Keep in mind that St. Patrick's Day is one of the busiest days of the year for bars so you may need to plan far in advance to reserve one. Once you have a venue booked, send invitations to your guest list via email, social networking or mail. 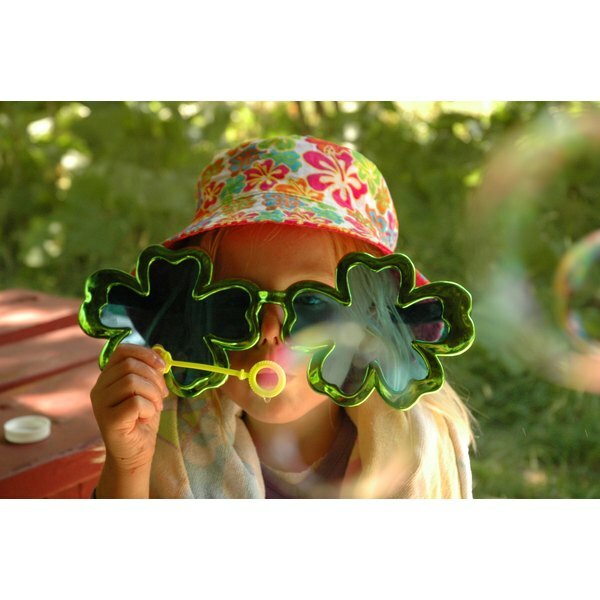 Consider themes such as shamrocks, leprechauns and pots of gold. There are plenty of traditional Irish dishes one might consider for St. Patrick's Day. Corned beef and cabbage is a crowd-pleasing option as is the sandwich alternative of that dish: the Reuben. Shepherd's pie is a hearty dish to serve as is Irish stew. For appetizers, consider Irish breads such as rye or soda bread served with a selection of Irish cheeses, including Dubliner. For dessert, apple tarts with stout pudding make for a fine finish. If you are hosting at home, your options only are limited by your cooking prowess. Pot-luck meals are common for St. Patrick's Day. Invite guests to share their favorite Irish dishes. If you are booking a venue, consider consulting a caterer. Keep in mind that if you are hosting at a pub, you likely are limited to the menu it is serving. There is no such thing as too much green when decorating for St. Patrick's Day. Gold and black make for nice contrast colors when planning decor. It is fun and easy to make things such as shamrock banners. If you are hoping to book acts such as Celtic singers or folk dancers, keep in mind these types of entertainers are popular on St. Patrick's Day. You need to book them well in advance. You can purchase Celtic music albums and download songs. For something more contemporary, consider a playlist of music from bands such as U2 or the Pogues. If you are throwing your party at a pub, the venue may include entertainment. 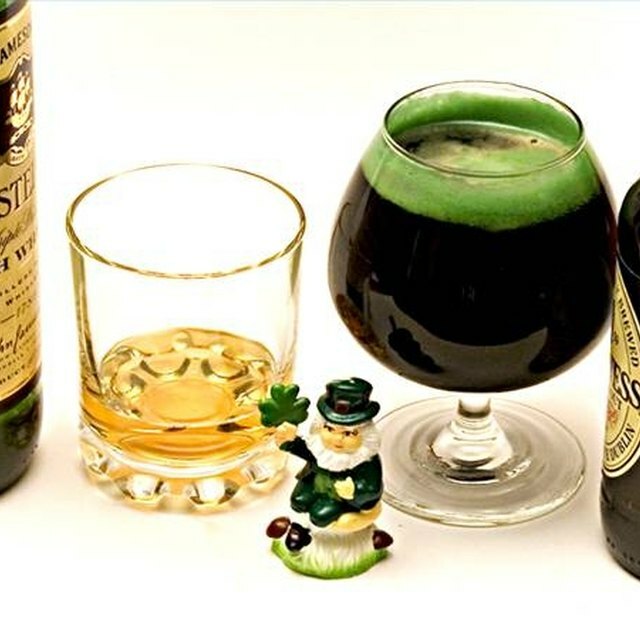 It is no secret that drinking is the most common activity for adults on St. Patrick's Day so have plenty of Irish stout, lager, whiskey and cider on hand. For nonalcoholic options, consider a green punch, nonalcoholic beers and nonalcoholic cider. A game to accompany your choice of libation is to have an Irish toast competition. Give out prizes for the funniest and most creative Irish toast your guests can give. State lotteries usually issue pot-of-gold scratch-off games at this time of year. Consider handing these out to your guests at a certain point, asking everyone to play with the hope someone has the luck of the Irish. M.J. Salamone is a newspaper journalist and editor with expertise writing about society and culture, media, politics, the arts and more. With 20 years of experience as a writer and journalist, Salamone enjoys digging into a multitude of topics.